And we are here again and guess what day it is. IT IS MONDAY!!!!!! MEET THE BLOGGER SERIES is here again with another set of questions. My DM has been full of them these past weeks that I can't help than answer them all. I read some of the questions and I go like "Ei these people will kill me 😂 😂 😂 "
So here I bring to you MEET THE BLOGGER 3. It’s getting more exciting and interesting. Are you named after anyone? Eeeeerrrrrrrrrmmmmmmmmm, I don’t think so. I’m the only one called Matthew Clifford Nii Aryee Seyram Aryeetey. When was the last time you cried? I don’t know….Maybe yesterday because I shed tears every day to keep my eyes wet always. If you were another person, would you be a friend of yourself? Of course, I’m an awesome person. I LOVE ME. What’s the first thing you notice about people? Their teeth….Please, don’t ask me why because I just don’t know. What is your eye color? Black. How tall are you? 5 Feet 8 inches OR 70 inches. It’s another Monday and the questions kept trickling in so I’ve decided to answer all which brings us to MEET THE BLOGGER 2. As I said in my previous post, MEET THE BLOGGERis a different version of getting to know me in the sense that, they are raw and unedited questions I’ve received from you all. But then, when I got home, I searched for who a blogger is on Google and guess what I got; exactly what I’m doing. Finally Finally Finally, we are in 2019 and I’m sooooo excited about the prospects of it. IT’S MY YEAR OF SERIES OF VICTORIES mehn. I just wanna say Baba oooo, Eseeeee Wow, you just discovered you’ve got a talent in singing. You were right on key. WOW! WOW!! WOW! !Oh, did you just say I’m ‘fooling’? I’m shy now so lemme just go straight to business. 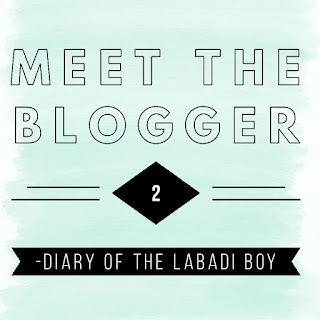 So it's a new year and what other way can we begin it than getting to who’s behind DIARY OF THE LABADI BOY. I know what you thinking, ‘I’ve read WHO I AM and 20 THINGS YOU PROBABLY DIDN'T KNOW ABOUT ME posts so I know who’s behind it'. Hahaha, gotcha. I am a super hero! I am a super Hero!! I am a super Hero!!! I’m back to default settings [unseriousness] again? Forgive me, it won’t happen again. So it’s few days to 2019 and I’m super excited about the prospects of it. You know why???? I guess not, so lemme tell you. 2019 is almost here and which other way can we start than to build a solid foundation for it. And when I say solid foundation, I mean SOLID FOUNDATION. Many of us couldn’t achieve those goals we set due to varied reasons. Can I list them? YES! NO! YES! YES! NO! NO! NO! Hahaha, everyone is saying NO. Okay, enough of the back and forth. So in my research of how to build a solid foundation for a better 2019, I’ve come up with ways you can get better results, achieve your goals and above all MAKE 2019 A BETTER YEAR. 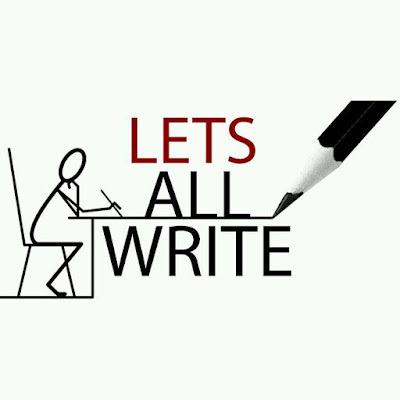 No time to waste, LET’S BEGIN!!! This Edition of DIARY OF THE LABADI BOY is a special one which is to celebrate all MOTHERS[and POTENTIAL MOTHERS] for their LOVE, SELFLESS EFFORTS, SACRIFICES and HUSTLE. THEY ARE SPECIAL AND THEY DESERVE ALL THE ACCOLADES AND RECOGNITION THIS WORLD CAN OFFER. MY MUM! MY MUM!! MY MUM!!! My mum is like a sister to me; Someone I share my problems and plans with. She’s that type of person I sit and chat without she shouting or getting angry with me at the least mistake I make. Ei, WAIT WAIT WAIT 😂😂😂….She shouts at me sometimes when I leave the bowls or plates unwashed after eating, when I make the room dirty with my books, when I take her money/coins etc.....Hahahaha but it's cool.......Till now, she still washes my clothes for me. AND OH, when it comes to working hard, there's none like her. This woman works from 1st January to 31st December; NO OFF DAYS or REST. THANK GOD FOR HER LIFE [MRS. EMELIA OTUMLE ARYEETEY]. Starting from this month [May], I am coming up with a series called “WHAT IS THERE?”. In this series, I shall give a detailed description and experiences of the places I’ve been. But before we begin from next week, I’d like to tell you 20 THINGS YOU PROBABLY DIDN’T KNOW ABOUT ME. OH YES, 20 THINGS and I bet you, there are some things YOU DON'T KNOW ABOUT ME even my family and closest friends. 1. People know my full name to be “Matthew Aryee Aryeetey”. Well, that’s my “OFFICIAL NAME” but my actual “FULL NAME” is Matthew Clifford Nii Aryee Seyram Aryeetey. 2.I don’t take in milk or for a better understanding; I’m allergic to milk. I don’t even know the 'HOW' and 'WHY' it is so but that’s how it’s been for many years now. Even the aroma makes me wanna puke 😷. 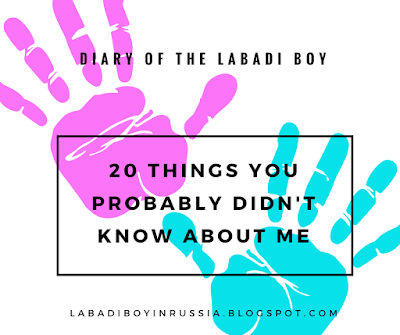 "People/Professionals have even given it a name "Lactose Into-something-something"
Diary Of The Labadi Boy.